International Confex is hoping to attract up to 120 event managers to its dedicated Association Day on Tuesday 6 March 2012. The Royal Aeronautical Society, Royal Society of Medicine, Railway Industry Association and the Engineering Export Council are among the organisations already registered to attend. Supported by ICCA, Association Day will consist of two plenary sessions, ten round table workshops and a comprehensive programme of high-level speakers. Lucian Tarnowski, entrepreneur and founder of Bravenewtalent.com, will give the keynote address on building online communities, and Lord Tom King, who served in the Cabinet from 1983-1992, will discuss how associations can build relationships within government. Delegates can take part in informal Ask the Expert sessions to gain advice on subjects such as sponsorship and fundraising, marketing and communication and legislation and governance. Presenters include Martin Sirk, ICCA chief executive, and Erin Rigg, client services manager at the British Council of Shopping Centres. 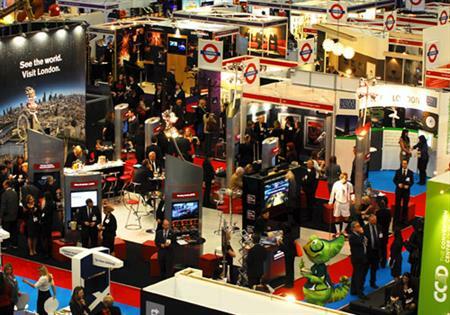 International Confex will take place at Excel London from 6-8 March.